AT Weddy is Responsive Wedding Planner Joomla template. A wedding is a special event that requires a special design for any website dedicated to it. This is modern, elegant and creative template for wedding and engagement event to design and showcase for couples who want to create their own wedding website. In addition, this theme is the best way to present your studio and some professional designs that will capture your attention. Wedding Planner Joomla template supports mobile / tablet version with 100% responsive layout, clean and stylish. 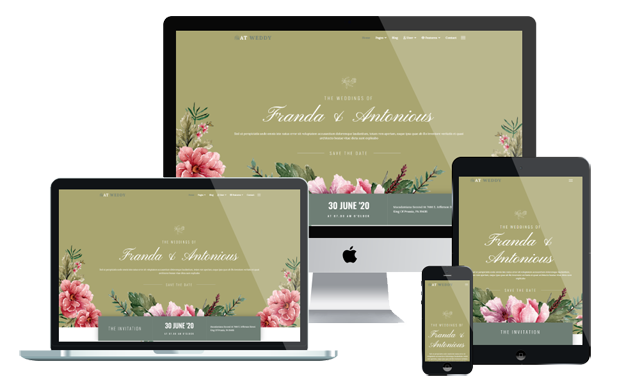 AT Weddy comes with 4 color styles and flexible homepage which includes boxed and full width layout. For technique of this template, it builds from Bootstrap CSS Framework at the latest version, Support Font Awesome and K2 extended style.